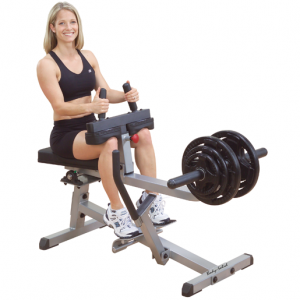 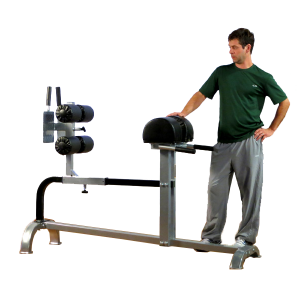 The new FID46 PowerLIFT workout bench is based on a heavy gauge 3″ round stock steel mainframe, with a 9-position seat and back pads that are a full 2¾” thick and will never bottom out, guaranteed. 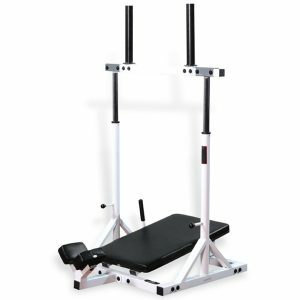 Perfect for all types of barbell and dumbbell exercises, the FID46 works great in Power Racks, Smith Machines and the strongest leverage gym system in existence – PowerLift. 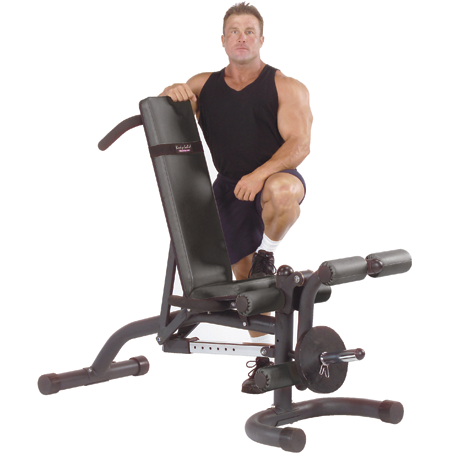 In addition to all the intense upper body exercises the FID46 delivers, the leg developer provides a concentrated lower body workout. Perform leg extensions with full 90 degree seat back support and lying leg curls from the traditional arched prone position. 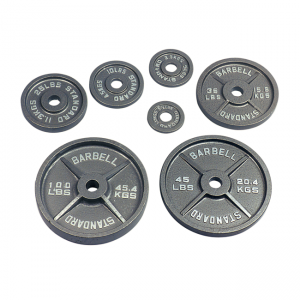 • Heavy gauge 3″ round stock steel mainframe. 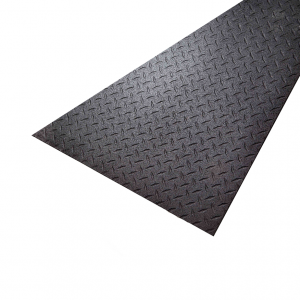 • Back pads are a full 2¾” thick and will never bottom out—guaranteed. 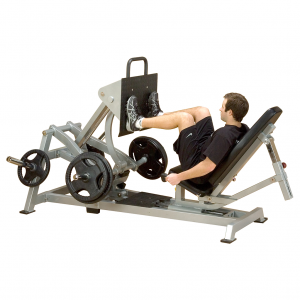 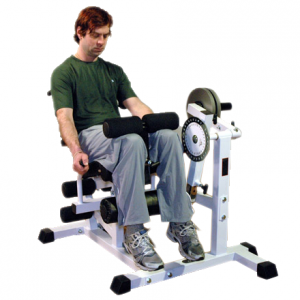 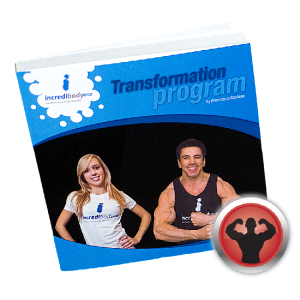 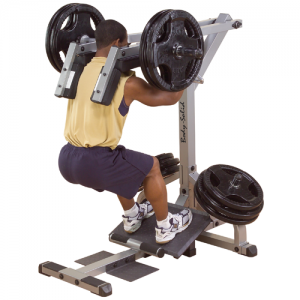 • Leg developer provides a concentrated lower body workout. 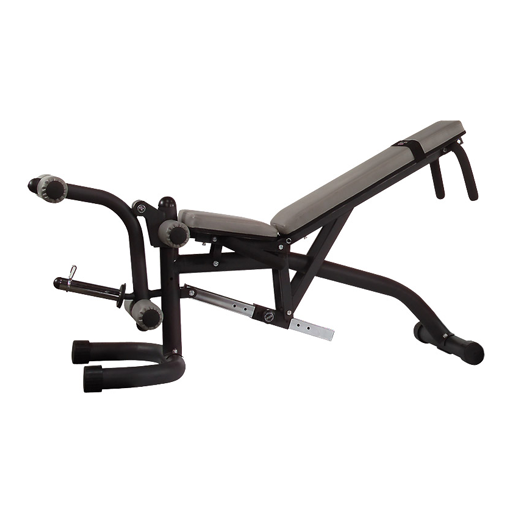 • Perform leg extensions with full 90 degree seat back support and lying leg curls from the traditional arched prone position.